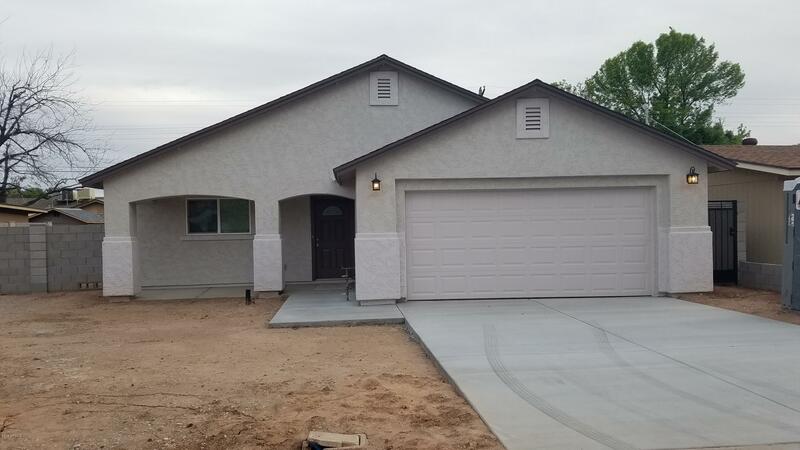 Beautiful New built conveniently located, close to shopping centers, Down town Mesa, Airport, and easy access to freeways. This house features modern solid plywood, slate color and self closing kitchen cabinets, with Lazy Susan & Pantry, new GE slate color appliances, Quartz counter tops with Glass back splash. Wood Plank tile through-out and carpet in bedrooms. Ceiling Fans in all rooms. Master-bath features walk-in shower with tile walls, river rock flooring and frame less glass doors. Master bedroom with separate sliding door access to patio. Fire suppression system in place. No HOA. All Figures & Measurements are approx. buyer to verify all information. Builder Name: R.g.v. Renovations, Llc. Courtesy of Golden Circle Real Estate L.L.C.